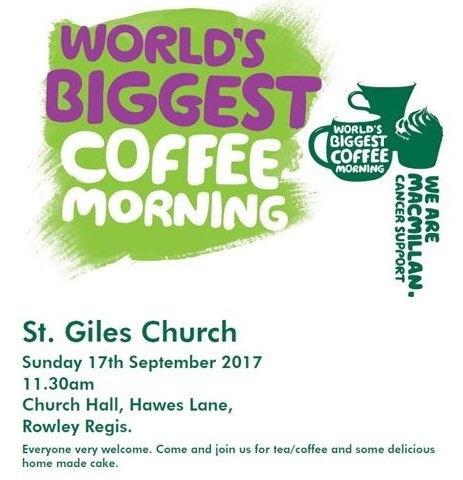 Each year, St Giles runs a MacMillian Coffee morning after one of our Sunday morning services, these are usually held in our church hall. Cakes are made and donated by members of the congregation, they are then sold along with tea and coffee. All proceeds are donated to MacMillian Cancer Support.